Versace 4265 - Havana Need Help? The gold Medusa is back! To pay homage to a style which helped define an era, Versace pulls from their iconic archives and brings back the famed 4265 sunglasses for a limited edition run. 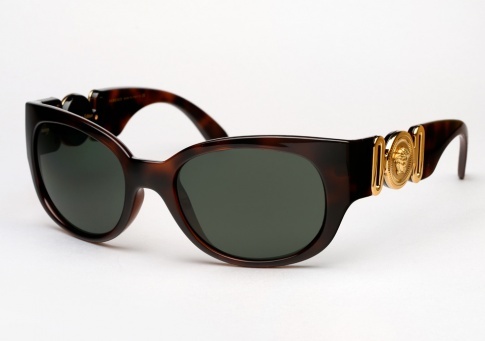 The most coveted Versace sunglasses are not subtle, but rather evoke an era, style, and culture of success in excess. It is offered here in classic Havana with the gold Medusa medallion paired with grey green lenses. Limited Edition: Versace Iconic Archive Collection.